Genesis Motors is less than two years old but it’s already showcasing some impressive skills. Born out of Hyundai’s desire to play with the big boys in the premium market, the Korean luxury brand has launched two sedans, the G80 and the G90, in less than a year. And, according to Hyundai, it won’t stop here, with a sports coupe and two SUVs scheduled to be introduced by 2020. More recently, Genesis also expressed interest in bringing a grand tourer to the market. That’s the word from Genesis head of design Luk Donckerwolke (previously of Audi, Lambo, and Bentley), who told Australian media at the New York Auto Show that the brand wants a competitor for the BMW 6 Series and Mercedes-Benz SL. "What we are doing here is creating the first step… To be honest, I’m not really looking at the others, I have the advantage of creating something new. I don’t have to look at others, but there’s certainly going to be a Gran Turismo two-door," said Donckerwolke, hinting that the Korean grand touer will have a fresh design compared to its rivals, which often look back on classic styling cues. But design won’t be the only thing that will make this vehicle stand out. Unlike the 6 Series and the Merc SL, Genesis’ two-door won’t have a naturally aspirated V-8 engine. 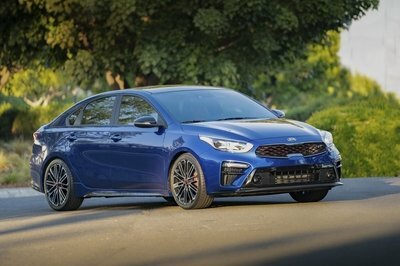 With the brand looking to move into future powertrains technologies, the range-topping model, likely to deliver at least 400 horsepower, will most likely use a twin-turbo six-cylinder or maybe even a hybrid. A fuel cell drivetrain like in the new GV80 concept is also under consideration. "As much as I like to drive V-8s, I believe electrification is going to be a main element, like the powertrain of this [Genesis GV80 concept] having a range-extender fuel cell for an electric vehicle or an electric powertrain, it’s a great source. 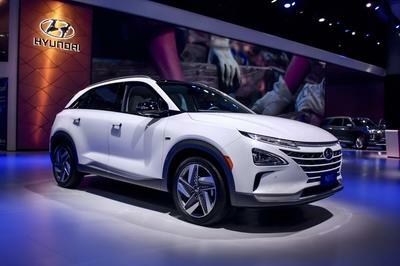 Hyundai and Genesis are pioneers of fuel cell technology, being the first company that has put fuel cell technology in production and on sale, it’s the way to go," said Genesis brand chief Manfred Fitzgerald. There is no official timetable for the luxury grand tourer, but it’s safe to assume that it will hit dealerships within the next four to five years. The Genesis brand is pretty much a toddler in the current market and it will need a few years to establish itself as an important player. The G90 and G80 sedans will definitely help, but Hyundai’s luxury brand needs a lot more nameplates to succeed. The GV80 concept is a great start for an expansion plant, but coupes are an important part of the premium market. A sports coupe is arguably more important here, but a grand tourer seems like a wise choice given that there aren’t many decently priced vehicles to choose from. Although it’s still early to make predictions, it seems that Genesis is heading in the right direction.